May buy 1 for yourself and 1 additional as a gift. May redeem 1 per visit. Valid only for option purchased. All lessons must be used by same person. 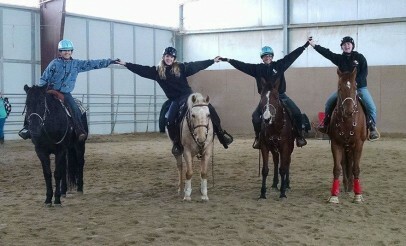 New riders only or those who haven't been to TLC Horse Training in a year. Reservations required. Must be 5+ or older, 250-pound weight limit maximum. 24-hour cancellation and rescheduling notice required.See the terms that apply to all deals. Across three 60-minute lesson, students will learn the basics of Hunter Pleasure, Western Pleasure, and Reigning in an indoor or outdoor arena. Each student is paired with a gentle horse to enjoy an enjoyable experience and learning environment.